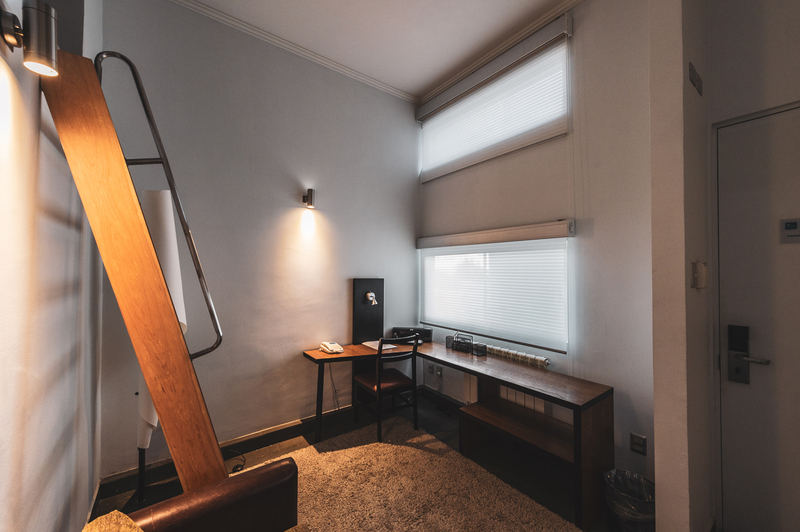 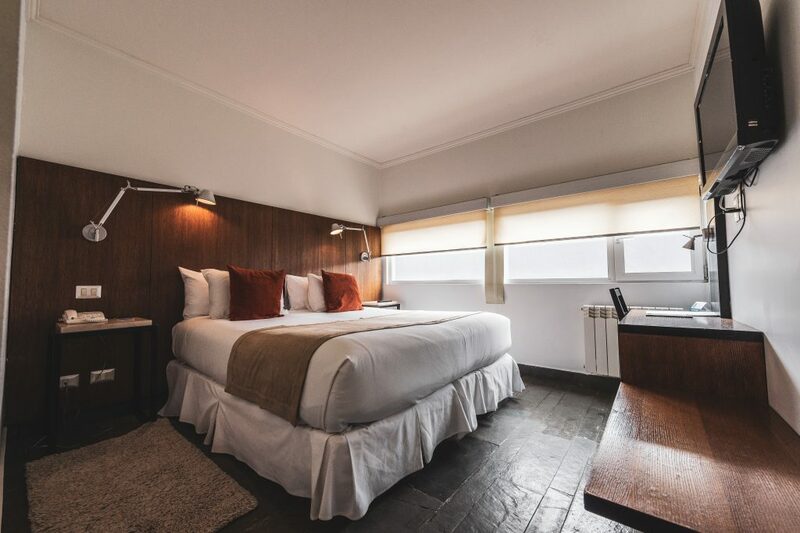 our passengers have one of the highest hotel standards in the area. 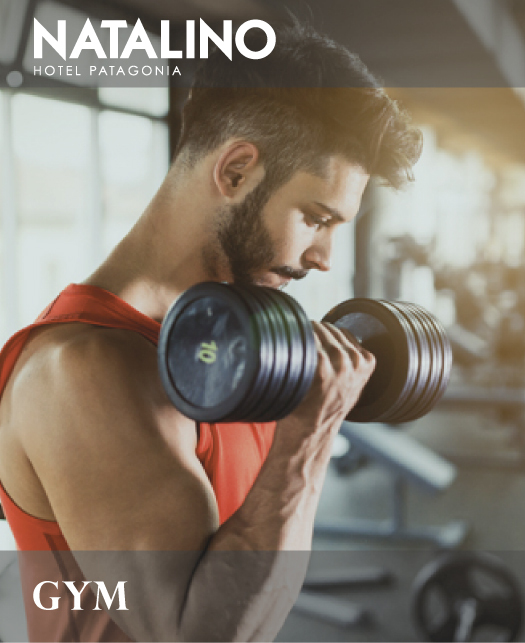 We offer a gym with a fitness room and exercise machines prepared to deliver a space for the well-being of our passengers. 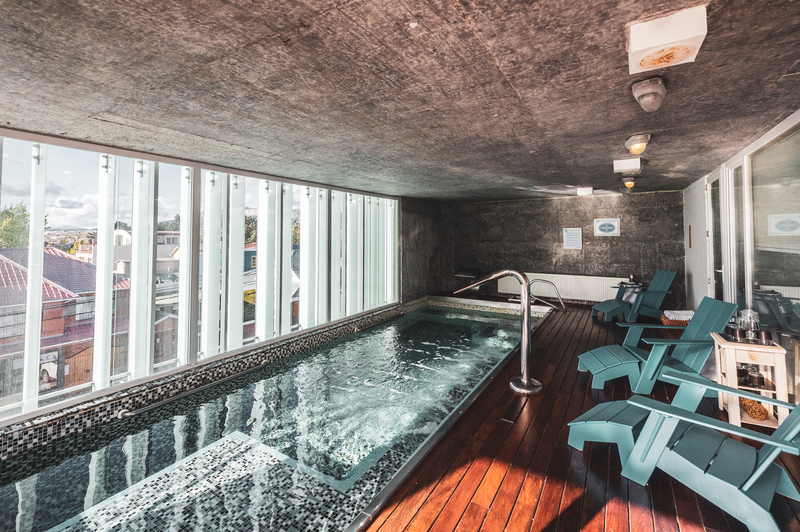 We offer a first class spa for our passengers, fully equipped for your comfort with different massage options. 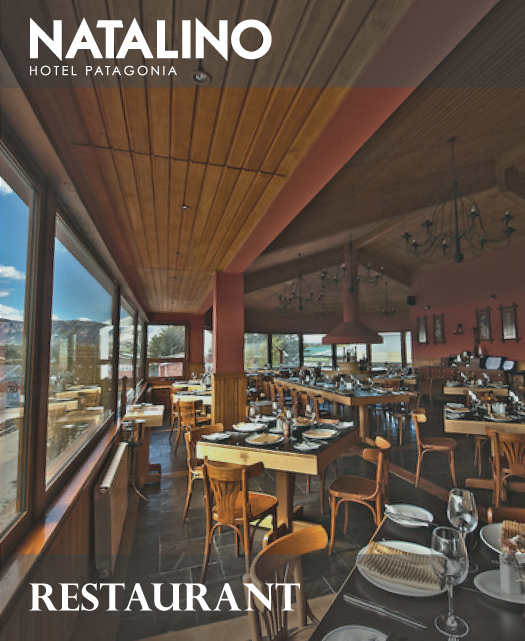 Restaurant of international cuisine of Patagonian Inspiration, in which the magellanic lamb and southern seas delights are the protagonists of our menu. 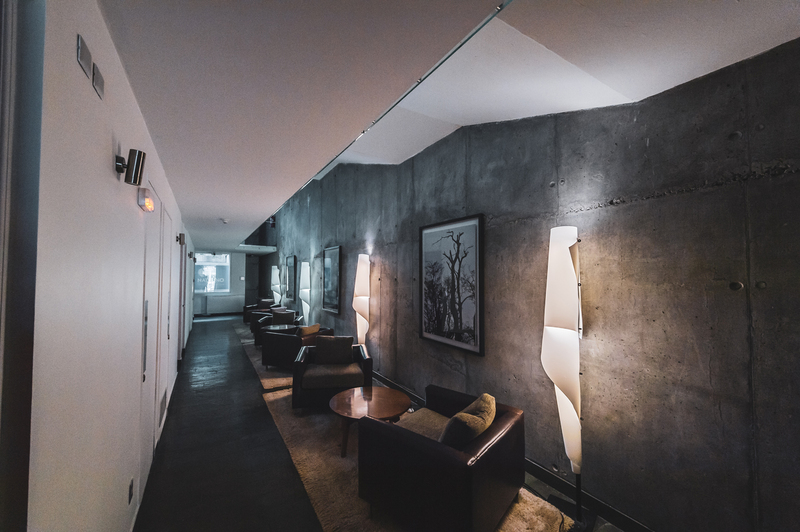 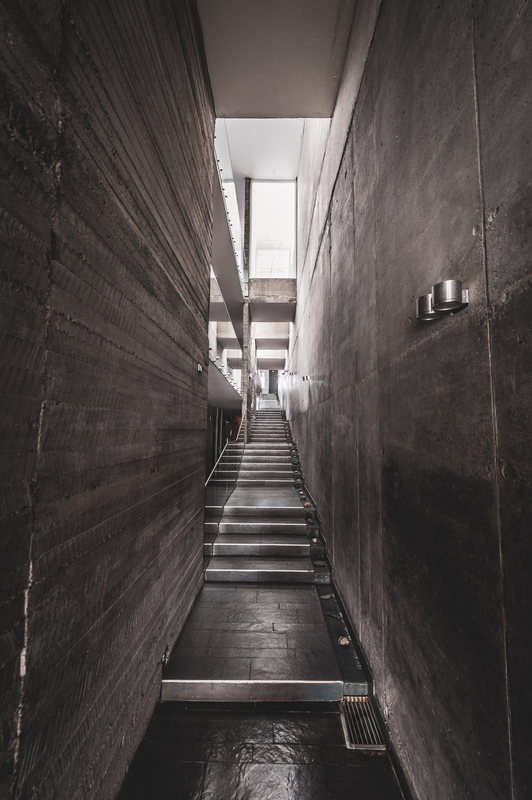 “Coffee Work” is a pioneering and perfect space to work or hold meetings around a cozy architectural environment that recreates the characteristics of the area. 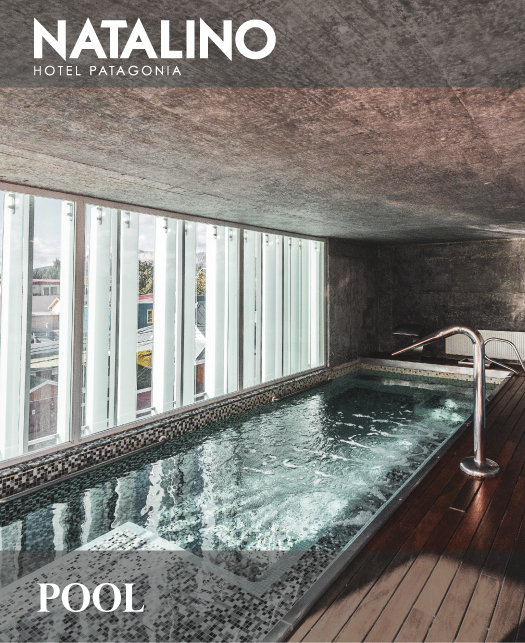 This place has a small additional cost. 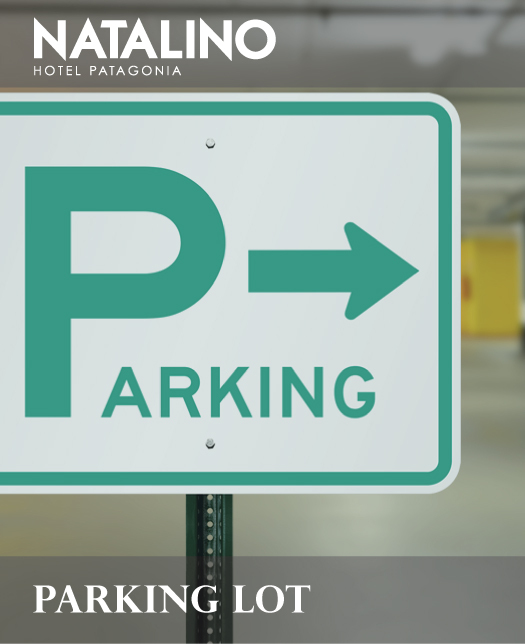 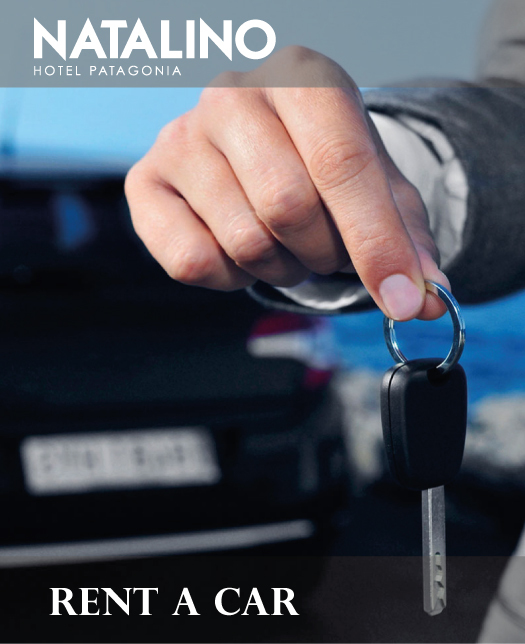 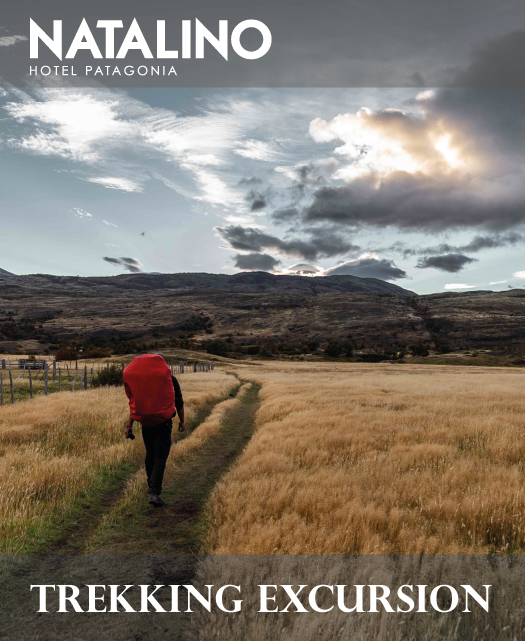 For those travelers who travel Patagonia in their own vehicles, Natalino Hotel Patagonia has a large private parking lot just one block away from the property. 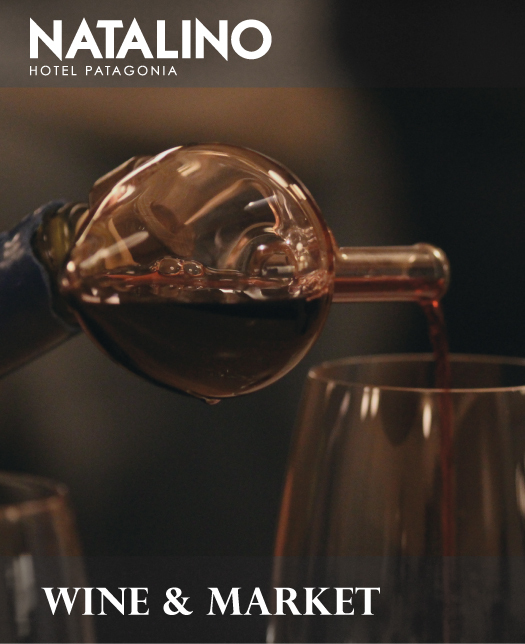 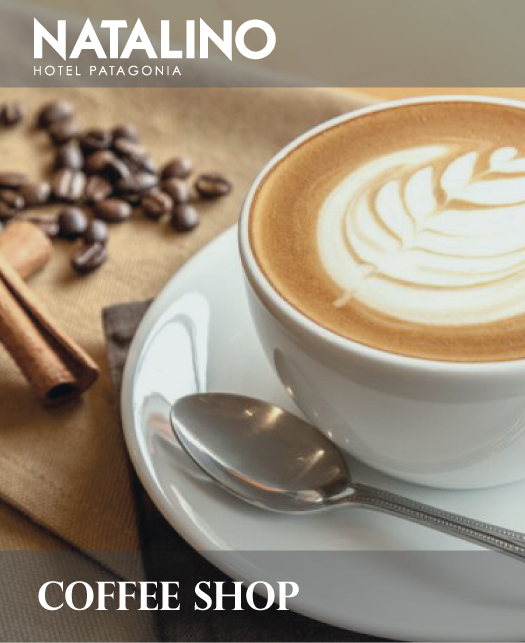 Here you can taste some of the best chilean and international terroir, enjoy Patagonia Blande coffee toasted in Magallanes, and meet some of the most exclusive culinary brands in the country. 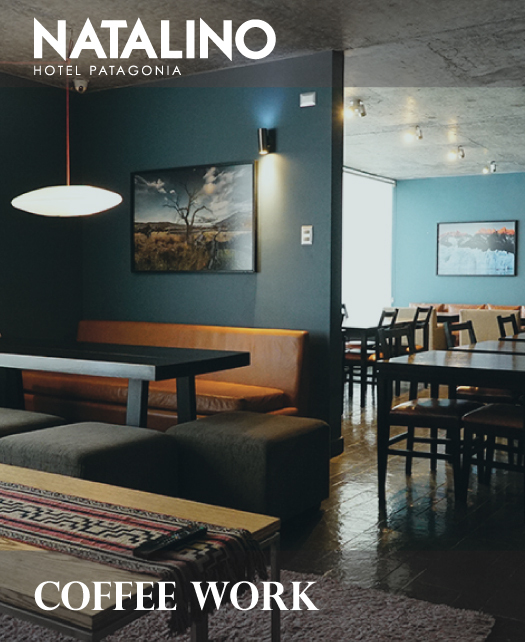 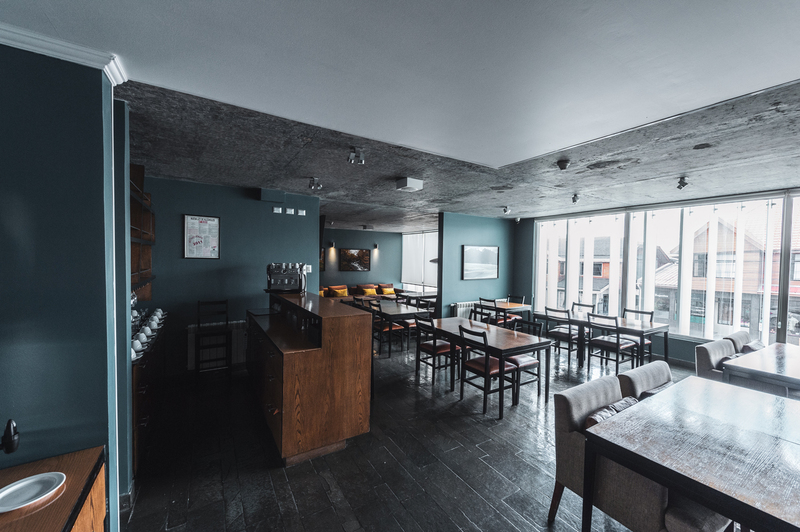 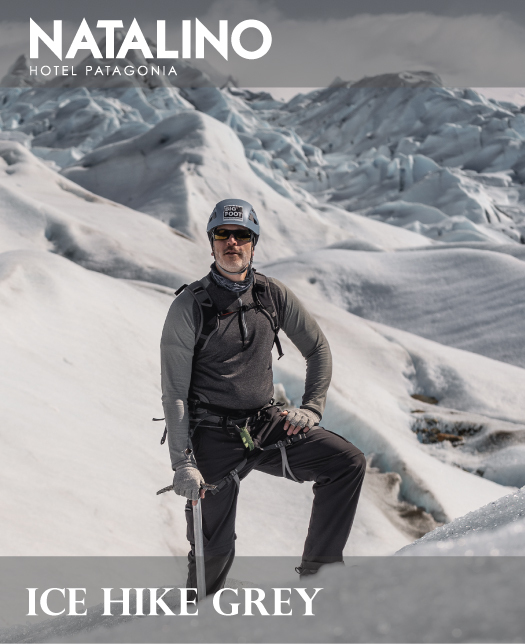 A place to enjoy good coffee at any time of the day, or a cocktail after office with the best view of the glaciers, fjords and mountains of Patagonia. 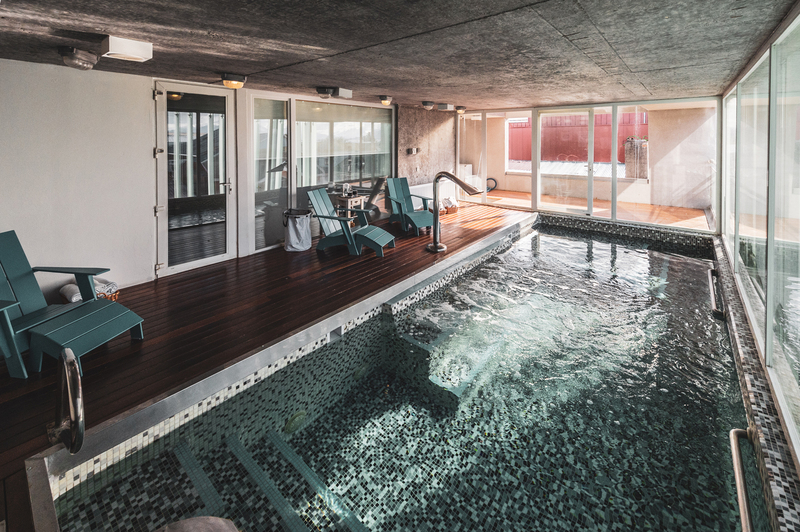 Participate in exclusive kayak excursions in the sectors of Grey and Villa Serrano. 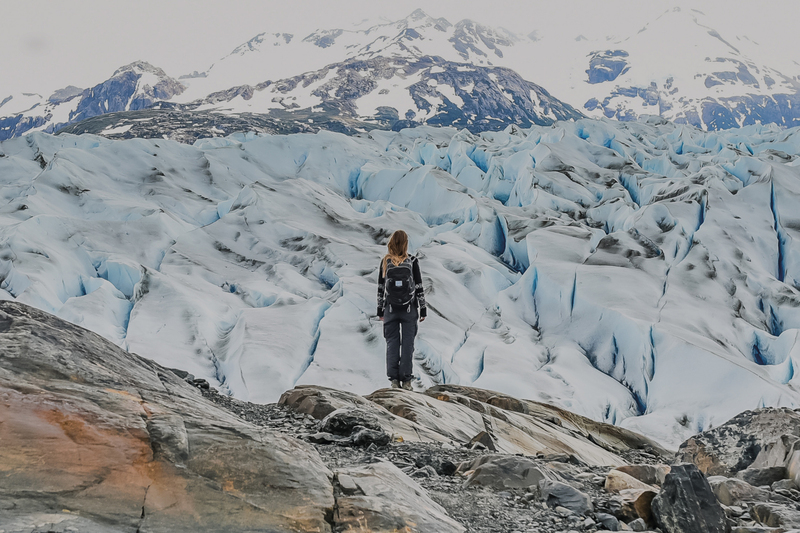 We invite you to walk on the ice on the Gray Glacier in a dream trip. 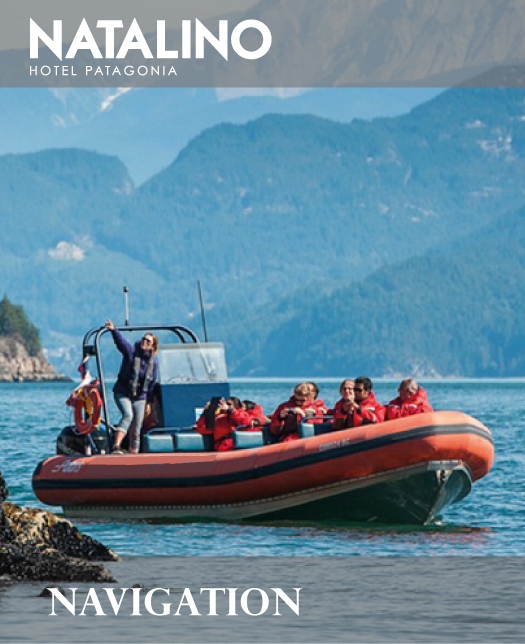 We are the only company with the privilege of giving you the possibility of an outdoor experience of this kind in Chilean Patagonia. 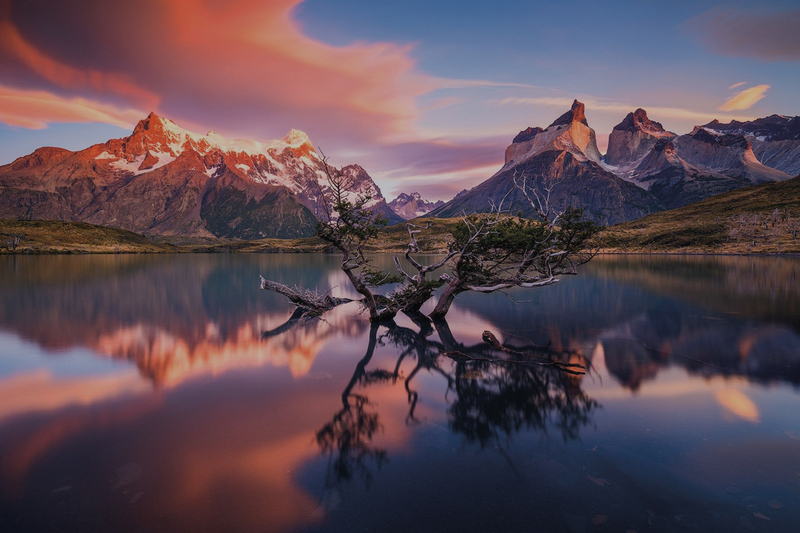 Get to know the best of Torres del Paine through different options of trekking and other activities. 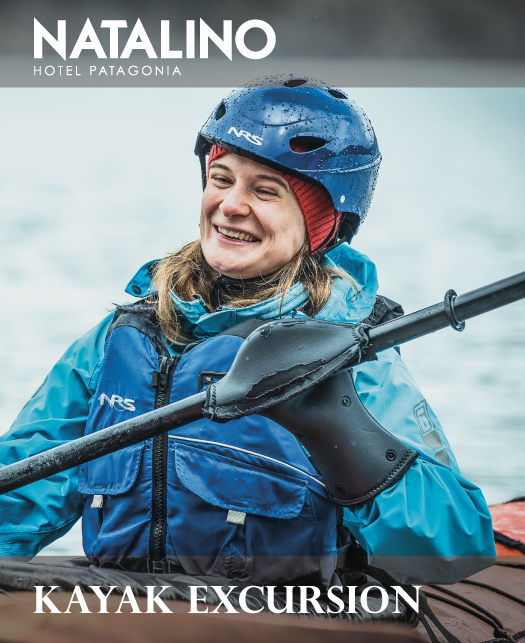 We specialize in developing the best sailing and zodiac sailing experiences, both through the Ultima Esperanza stream and through different rivers that connect with Torres del Paine and Bernardo O'Higgins National Parks. 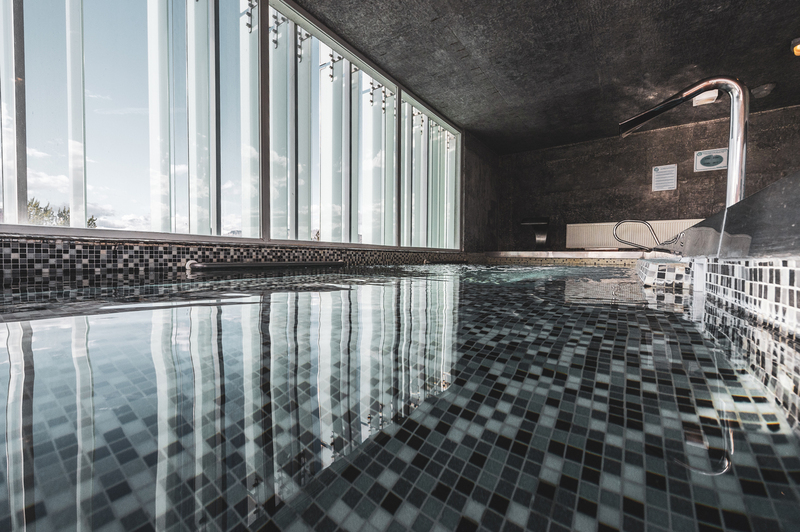 Our heated pool is ideal for a moment of relaxation after a walk through the national parks of the area.